If you work in an office, you probably spend most of your time using a computer. If that computer uses a Windows operating system and you enjoy saving time, I’d like to share something with you. Infoworld.com recently published a nice article listing 15 free tools for every Windows desktop. These tools "help Windows users work faster and free up time for more important things." Who doesn’t want that? Of course, if you use a similar tool that didn’t make this list, I’d love to hear about it. Feel free to share in the comments. 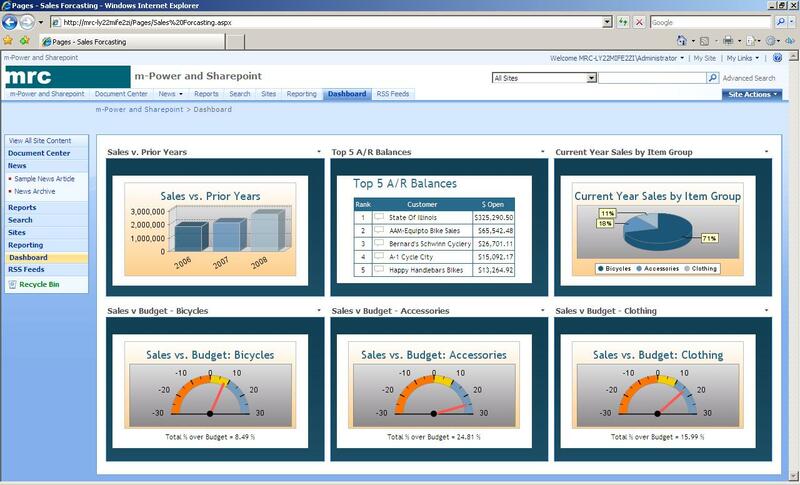 Integrate with other business software (like Sharepoint). Are accessible from any web browser. Are accessible from a smartphone. Integrate with other web services. Creating powerful enterprise-level Web (and mobile) applications doesn't have to be complicated. Here, you can create a custom, live, lightning-fast, portable and flexible database-driven Web application in just a few minutes with your current skill set. What's more, you can just as easily create mobile apps. You probably know the benefits of application modernization - more capabilities, decreased maintenance cost, increased integration with web services, etc… All in all, most companies stand to gain more than they lose from modernization. I just read an interesting article on pcworld.com entitled, "12 amazing productivity boosters." While I think it lists some good productivity tools, it got me thinking: What makes you productive? For example, does a good to-do list make you productive? What about a calendar? While those are most often associated with productivity, I think the productivity gains from a better to-do list or calendar are often minimal. In my opinion, productivity tools are those which help you work faster or easily accomplish difficult tasks. For example, one of my favorite productivity tools is Dropbox, which lets me access files from any computer without emailing files around or using remote desktop. How about you? Do you have a favorite productivity tool? Feel free to share in the comments. I’d like to share a great Thanksgiving recipe with you. For those wondering why I’m sharing a recipe on a tech/business blog, it’s sort of become a tradition. A few years ago, I shared a recipe with my readers around the holidays, and your feedback was extremely positive. So, I’ve done it every year since. After all, who doesn’t enjoy a good recipe around the holidays? Now, this recipe isn’t mine—it’s a family recipe from a member of our team here at mrc. Word on the street is it’s very delicious, easy to make, and definitely not healthy. So, without further ado, here’s a great, yet simple recipe for pistachio salad. I’d like to highlight another great (and free) template over in the m-Power Project Exchange. In case you’re unfamiliar with the Project Exchange, check out this page. If you’re unfamiliar with m-Power’s template-based approach to development, check out our build-process page. Today, I’d like to highlight a simple, yet useful template that you might find useful: The CSV Report Template. As the name implies, this template lets users export their data into a Comma Separated Value (CSV) file.